A fitness center’s top-of-the-line equipment, complete with interactive workout monitoring, can be a draw for new and current members, but no one wants to use any machine that has lost its luster and smells of day-old sweat. The consequences of dusty, dirty equipment go well beyond aesthetics, of course. The spread of germs and viruses through contact with equipment is a serious health concern. 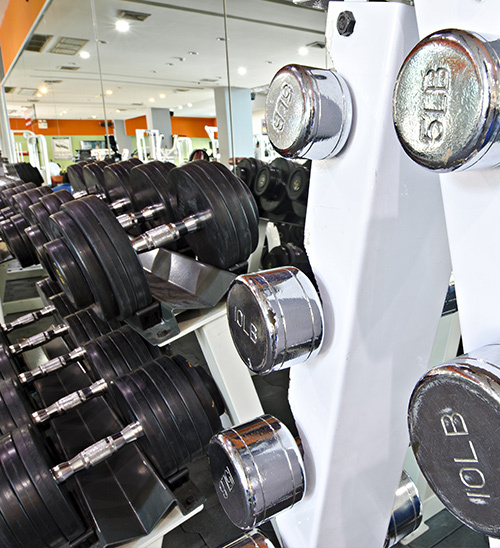 Most fitness centers don’t have the staff required to clean each piece of equipment after every use. Instead, they rely on users to wipe down their machines when finished by offering either spray cleaners or wipes. Our cleaning process includes but is not limited to sanitizing locker rooms, including shower areas and stall areas, sanitizing of equipment, door handles, high-touch areas and more. Metro Clean always goes the extra mile to destroy contaminants and germs in your fitness center. If you are looking for a reliable and trusted partner for your fitness center’s professional cleaning needs, than look no further.